Klubbe the Turkle and the Golden Star Coracle by Philip Dodd. 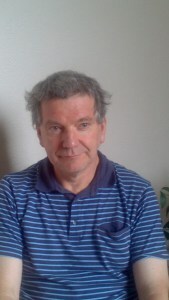 Read my Author Interview on Amid the Imaginary. It was my pleasure to interview Philip Dodd, author of the light-hearted science-fiction novel “Klubbe and the Golden Star Coracle”. It was definitely a fun read and perfect for these summer days. You can read the full review here. Below are my questions in italics followed by Philip’s complete, unaltered answers. My name is Philip Dodd. I was born in 1952, live in Liverpool, England, have a degree in English literature from Newcastle University, and I have been writing songs, poems and stories since I was twelve. My first book, “Angel War“, was published in April, 2013, and my second book, “Klubbe the Turkle and the Golden Star Coracle”, was published in March, 2015. 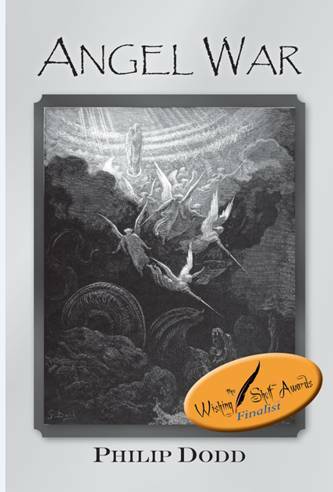 “Angel War” was chosen as a finalist in the Wishing Shelf Independent Book Awards for 2013, I am pleased to say. to wear when the long path you begin. at least those who carved in stone. the gods who woke the worlds alone. who built the Pyramid of the Sun. brought about the Mayan fall. or where your corn was stored. enough to call a hoard. to your temple run, through the jungle wild. To my comfort, your people live on, Balamku. They preserve your pyramids, your calendars of time. Let me now humbly bless the Maya in my rhyme. blocks are broken on the path you made. be thankful you knew them at all. They never leave you in your memory. Even if they cannot hear you, wish them well. Say may they ever rise and never fall. though clouds refuse to let you see the stars. silence deepens below absence of cars. On doorsteps milk bottles tinkle, morning comes. The old tunes he likes the milk man hums. where once stood your friend. who opened windows and then took flight. no monastery will give me sanctuary. waiting for the next emergency. no protection on the balcony. light in the loft shining steadily. no fertile planet waits to be our home. the desert we should not need to roam. What does it mean to desire the peaks of power? I tried to glimpse it but was never sure. Over the borders come the refugees. How heal the hearts broken by the war? all I carried, my Bible and my cross. no words to speak after such a loss. saving sailors from the rocks out at sea. so many fled but could not be free. The hammer clangs on the anvil and forges the sword. We come in peace, no weapons in our hands. allow us to live in our own lands. look through windows that were not there before. it will reveal the long lost, hidden door. no insect had to try. the ostrich or the penguin? is not that of the tortoise. lifted its wings and flew off where it will. but it was gone, like its moment in the glass. to say it was deep, not sad. the best tune she ever had. was the music of within. hurt by crimes heard on the news. found the chords to play the blues. with red roses in her hand. she still wades towards her land. from the engine came no sound. that fell far with her to ground. her melody had no name. to sail beyond pain and blame. only in dreams do we travel free. falls short of what I may find. my one gift I know will not go. Whatever happens, my words will continue. when her vision fades, she will stay.